VIBE Arts is pleased to announce an upcoming collaboration with the City of Toronto’s Youth Equity Strategy (TYES) with support from Solid Waste Management. On Saturday, May 4th, 2019, VIBE will be co-presenting a series of free arts programming and performances as part of Youth Week 2019. Join us in the Toronto City Hall Rotunda at 4pm for the launch and receptions of two photography exhibitions. The first, titled Resiliency Through Immigration, is curated by Anthony Gebrehiwot and Lillian O’Brien Davis, and captures stories of families who have channeled resilience through their immigration to Canada. A second photo exhibition features works from VIBE and TYES’ online Instagram campaign, #ResiliencyLooksLike. Through March and April 2019, VIBE and TYES took to the web to encourage youth age 18-29 to submit photos that showed what #ResiliencyLooksLike to them. The selected finalists’ works will be displayed at City Hall and celebrated at a reception beginning at 4pm. At 4:30pm, join us for a Platform A ‘A Talk’; an artist panel discussion moderated by Freedom Fridayz’s, Byron Gray. 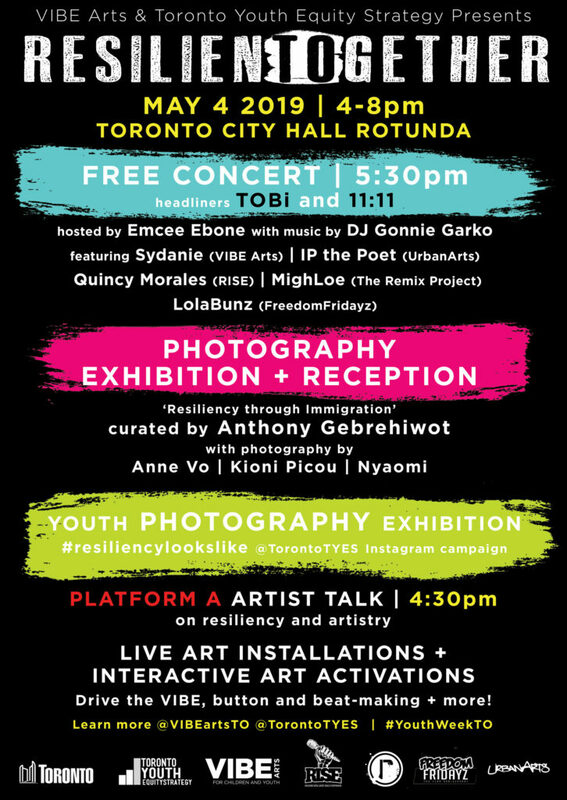 Join local artists Sydanie, LolaBunz, MighLoe, IP The Poet and Quincy Morales as they explore the topic of resiliency and what it takes to be heard as an upcoming performer in Toronto. 5:30pm will begin an evening of musical performances with the ResilienTOgether concert series. This event features headliners TOBi and 11:11, as well as the performers we heard from at the Artist Talk; Sydanie, MighLoe, Quincy Morales, IP The Poet and LolaBunz. Hosted by Emcee Ebone with tunes from DJ Gonnie Garko, this will be an evening of good vibes and tight rhymes that you won’t want to miss. That’s not all! From 4-8pm, we’ll be offering a variety of free arts activations, installations, and programming for creatives of all ages. Look out for Drive the VIBE, our mobile van parked outside City Hall to engage attendees with hands-on arts workshops, led by a team of talented VIBE Artists. Urban Arts will also be bringing their beat-making station, so be sure to come out on Saturday, May 4th, and make some time to create! 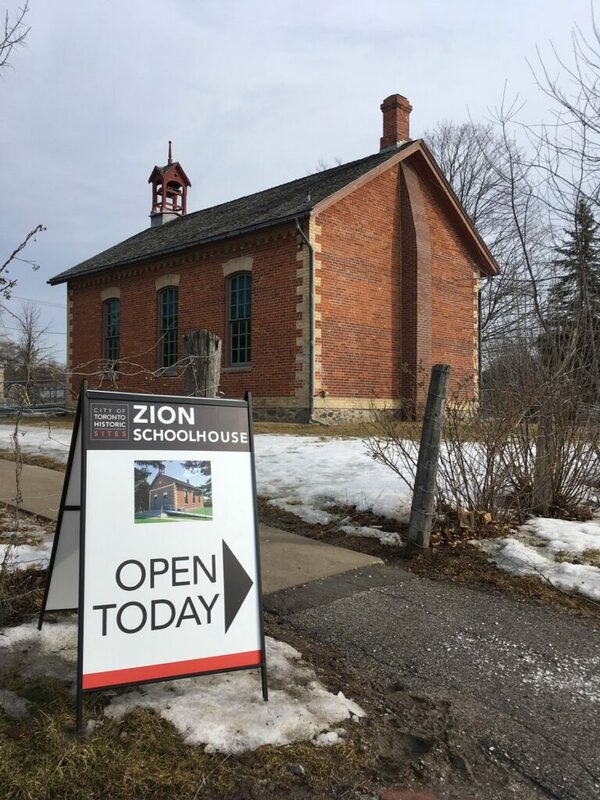 Through February and March 2019, VIBE Arts teamed up the Toronto Arts Council to Animate the City of Toronto’s historic Zion Schoolhouse. 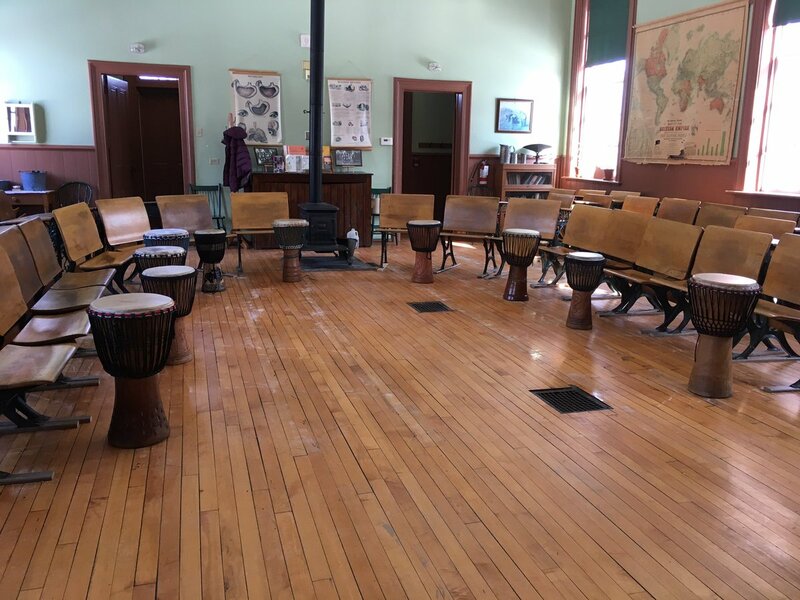 This project took shape as four, day-long artist residencies culminating in three days of public March Break programming where VIBE Artists reimagined and re-constructed traditional subjects of the 1910 schoolhouse. VIBE Artist Ruben Esguerra and Assistant Philip Estrada led a group of students in Arithmetic in the form of Latin percussion. Artist Paddy Leung and Assistant Josephine Mwanvua worked together to rethink history through contemporary paper-craft. 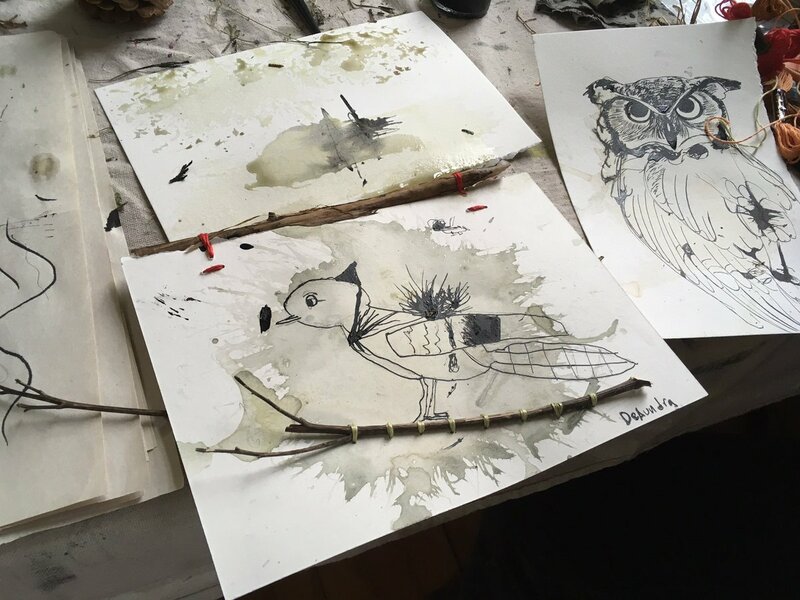 Igho Item was assisted by Ammarah Syed to reframe traditional reading and writing into spoken word, while Sandra Tarantino and Assistant Jason Julien turned traditional nature studies into a workshop where participants used found materials to draw with natural ink. 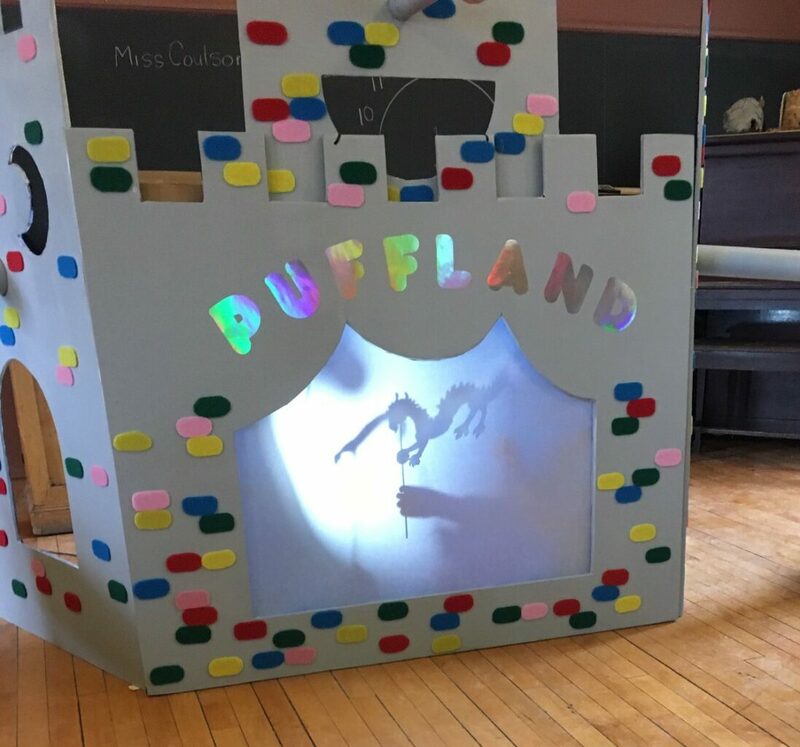 The program successfully drew a large number of participants to the schoolhouse, engaging them with hands-on, educational activities for three days throughout March Break. We thank the families, participants and school partners who participated in Return and Relearn, as well as Maggie Newell and the Zion Schoolhouse. This program would not have been possible without the Animating Historic Sites initiative of the Toronto Arts Council. Stay in the know. Subscribe to our newsletter and receive community updates, events and opportunities.